Practo, the largest healthcare platform in Asia has officially announced that they're now here in the country to provide the Philippine market with their award winning products. Namely, the Practo Search and Practo Ray together with the company's additional cutting edge services through its recent acquisitions. The company believes that everyone can live healthier and longer if they can make better healthcare decisions. That's where Practo will enter our lives. They're here to provide a simplified healthcare for consumers and medical practitioner making it a one stop healthcare platform that helps our countrymen search, find and choose the best and right doctor for them. Consumers in the Philippines will be able to search through over 11,000 doctors across all 17 cities in the Greater Manila area, which is over 70% of all doctors in the area and makes Practo the largest healthcare database in the country. The company has a goal of listing all the healthcare professionals in the country and make their data accurate and reliable. Practo’s own team combs through every street and every zone to verify and list all the doctors on Practo for free. Practo Search - enables consumers to search through this verified database of healthcare professionals and find the one that’s right for them. Consumers can search using doctor’s names, specialization, and symptoms. Once they get results, consumers can click through the Practo Profile for each professional or establishment to read more details including years of experience, qualifications, affiliations and specializations as well as see clinic photos and get GPS co-ordinates of location for easy turn-by-turn navigation right from within the Practo App. Practo Ray - the cloud-based practice management solution of choice for thousands of doctors and clinics. It simplifies and automates practice management so doctors can focus on what they do best-- treating and caring for their patients. Practo Ray helps simplify scheduling, billing and inventory management for doctors. It also helps create digital health care records and prescriptions so consumers always have their healthcare history available to them right inside the app. Practo Ray is available as an annual subscription starting at Php2,200 a month. Practo is in a unique position of having a globally respected strong B2B software product (Practo Ray) that is tightly integrated with its much loved consumer offering (Practo Search), creating the world’s first and only healthcare hyperloop that is connecting the entire healthcare ecosystem and is helping millions of consumers make better healthcare decisions every month. This company will definitely cover the entire country in the future. For now, they will expand all over Cebu, Cavite and Batangas regions. 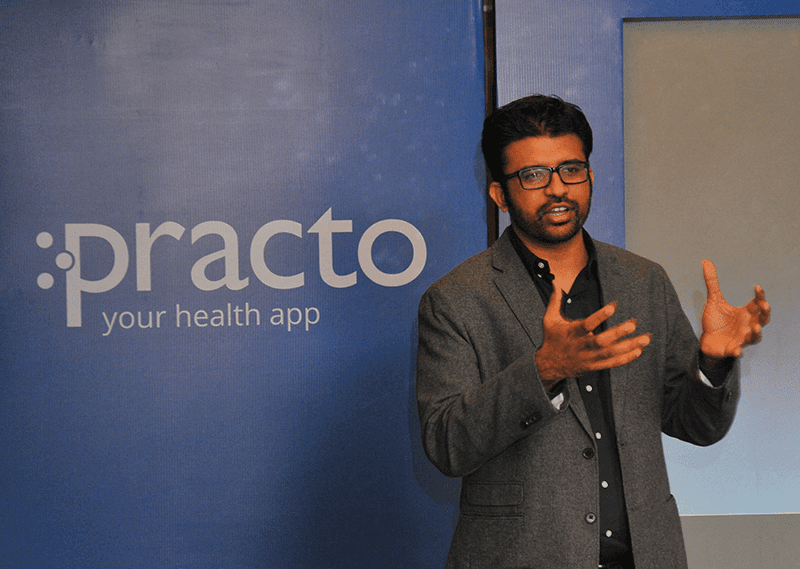 Practo also expanded their product line into fitness, wellness, medicine, preventive and curative healthcare. That will nsure that consumers have a single app they need for all their healthcare requirements. To deliver better services to the consumers, it acquired FitHo, Genii, Insta Health Solutions, and Qikwell. The acquisition of FitHo lets Practo expands its offering into the preventive healthcare space. FitHo helps people manage weight & lifestyle diseases by improving the nutrition and physical activity of the consumers and by building intelligent technology based products that can provide personalized advice to millions of consumers through the website and Android mobile app. Practo also acquired Genii, a product outsourcing firm with deep domain experience building be-spoke e-commerce portals, SaaS platforms which helps Practo to accelerate growth and create products focused around hospitals, diagnostic center and others. InstaHealth, a leading provider of cutting edge end-to-end cloud based hospital information management solution (HIMS), provides an option to hospitals to integrate with Practo’s platform and thus enable patients to search and easily find information about doctor availability across hospital and departments, make instant bookings, as well as experience no wait times or queues once they reach the hospital for their appointment. The acquisition will help accelerate Practo’s Partner Program that is designed to enable HIMS providers around the world to integrate with Practo’s platform to provide consumers a seamless healthcare experience no matter which hospital they visit. Qikwell, on the other hand, is a leader in appointment scheduling at hospitals. With this, Practo gets a fantastic product that delivers a great consumer experience in hospitals and clinics by providing smooth appointment booking, significantly reduced waiting time as well as contactless payment at the hospital. This is definitely a great news for everyone as we can now get better healthcare access in a snap. Practo clearly used technology in the right way by improving and taking care of people's lives. Welcome to the Philippines Practo!